As consumer electronics have evolved over the past 50-60 years, a plethora of cables and connections have evolved to interface them. It can be a little confusing. Here is an overview of the audio and video cables used to connect all kinds of electronics that will help you understand what is going on the next time you need a hook-up. What’s in an Audio-Video Cable? There are three components in a cable that affect signal quality: the conductor, the shielding, and the connector. The conductor is the type of material used as a medium through which the signal passes. Different conductors have different properties like resistance, and techniques like twisting affect these properties. Excess length and inadequate diameter for the signal are common conductor issues. Since a conductor is also basically an antenna, it can also pick up other signals. Radio Frequency Interference (RFI) and Electromagnetic Interference (EMI) introduce noise signals into the desired video or audio signal. Proper shielding on a cable reduces electronic noise that the conductor receives. Every connector on a cable actually makes two connections – the connection to the equipment and the connection to the conductor. Bad connections on either side can mean serious degradation of the signal and are a common source of quality issues. Technical performance information is usually readily available when shopping for cables. You don’t have to become an expert, but by learning some basic terms and understanding what is good and what is bad, you can prevent greatly overpaying for a not-so-great cable (which is easy to do). The ¼ inch plug connections (male and female) commonly known as RCA or phono jacks have been around from almost the beginning of the component stereo era. They are still a fairly common way make audio connections between components. A separate connection is used for left and right stereo signals, so connections are usually color coded in red, white, or black. As video became part of home electronics, the RCA jack was employed to connect video signals as well (color coded yellow). While great for analog audio, the RCA jack is less than ideal for video. However, it was adequate when the common format for video was VHS tape. Only recently have cables used only for digital audio started to become common. Digital audio signals are frequently combined with digital video signals (as described with HDMI), so separate cabling is not needed. The most common type of digital audio connection is the Coaxial Digital Audio cable. This uses an RCA connector on each end with a coax cable. Since both audio channels are transmitted digitally over one wire, only one cable is needed for both channels. Since coax cable is used, Coaxial Digital Audio cables feel and look more substantial than RCA cables, plus the connector is frequently plated with a fine metal to improve the connection. Optical Digital Cables use fiber optics to transmit digital audio signals as pulses of light. While this may be the optimal way to transmit digital information, optical cables are expensive, can be somewhat fragile, and have bending limitations. 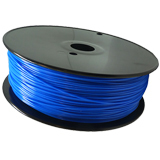 On the positive side, optical cables are immune to interference and do not degrade over a long distance. There a number of cables used to carry analog video signals. As mentioned, a common RCA jack was typically employed early in the life of consumer video equipment. As the mediums used for video improved, from enhanced analog like Hi-8 to digital like DVDs, better connections were needed. Since we already know that RCA cables are (or at least were) very commonly used for audio and video connections, lets move on to discussing coaxial. Coaxial cable was initially brought into our homes with cable TV and had to be attached to a cable box (until TVs became “cable ready”). Then it was used to carry the audio and video between TVs and VCRS and eventually DVD recorders as well. While it was a decent method for carrying audio and video signals, preferable connection methods of connection are frequently available. Almost all of us with cable TV, however, still have a coax cable bringing the transmission into our home. S-Video cables use round, 4-pin connectors, and transmit the chrominance (color) and luminance (brightness) of a video signal separately. This provides a more accurate video reproduction in both color and detail than RCA or coaxial. S-Video became a standard way to provide a high quality video output when DVD players started to become common, but televisions were still analog. Component video cable, found on most DVD players/recorders and on some DVRs, delivers the highest quality in analog connections and cables. Component video cables divide the video signal into three individual components that are transmitted separately. Component video is high-definition and progressive-scan capable. As more and more of our electronic components become digital, the need for digital to digital became apparent. The two main digital video cable options are DVI cables and HDMI cables. HDMI (High-Definition Multimedia Interface) cables are quickly becoming the standard way to connect digital devices. It carries both high definition video and audio signals. Digital camcorders frequently use a mini-HDMI style connector. DVI (Digital Visual Interface) cables can carry video signals only (not audio). While HDMI is becoming the standard, you may still encounter a DVI connection when connecting a PC to a digital monitor or a projector. Commonly known by Apple’s version called FireWire, the cable based on the IEEE 1394 standard is an extremely fast two-way digital connection. 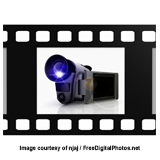 It is usually used to connect computers to other computers or to peripherals like digital camcorders or hard drives. It is also a standard digital connection used in industries like automotive and aviation. An early version called i.LINK used a 4-pin connector, however FireWire employs a 6-pin connection. USB (Universal Serial Bus) is the common way computers now connect to almost everything – printers, the mouse, flash drives, cameras, and so on. USB ports brought true “plug and play” interface between a computer and peripherals. When connected, devices are quickly recognized and used without the need to open or even restart the computer. The miniature size of USB compared to earlier computer serial and parallel ports was needed as notebook size computers gained feasibility and popularity. Plus, USB generations keep increasing speed, and should meet the need for most components and applications,. While most computers come with numerous USB ports, USB is also expandable with the addition of hubs, which allows several peripherals to connect simultaneously to a single USB port. Hopefully, as digital technology becomes extremely prevalent, connecting electronic devices will be as simple as connecting a single HDMI or USB cable. Until then, you may have to cope with understanding and using a variety of cables and connectors. Remember, the quality of the cable impacts performance, and price is not always the best indicator of quality. Learn the basics and be a knowledgeable consumer.